Sundays are a special day at Tahanan. The community center that is filled with youth throughout the week turns into a space for a precious group of mothers to come and learn God’s Word. Some of the mothers are neighbors within the Baras community, others are mothers of youth who frequent Tahanan, and others are friends of our ministry. One thing that makes the fellowship special is that the women are provided with care for their younger children. Sunday’s Mother’s Bible Study also becomes an opportunity for the youngest of the families to also learn the Bible. What takes place on the second floor of the community center is Tahanan Kidz - a program specifically for the children of those who attend Mother’s Bible Study to play, sing songs, and learn a Bible story. Irish Dagami spends two hours every Sunday with Tahanan Kidz dancing, singing, and making the most of their time together! 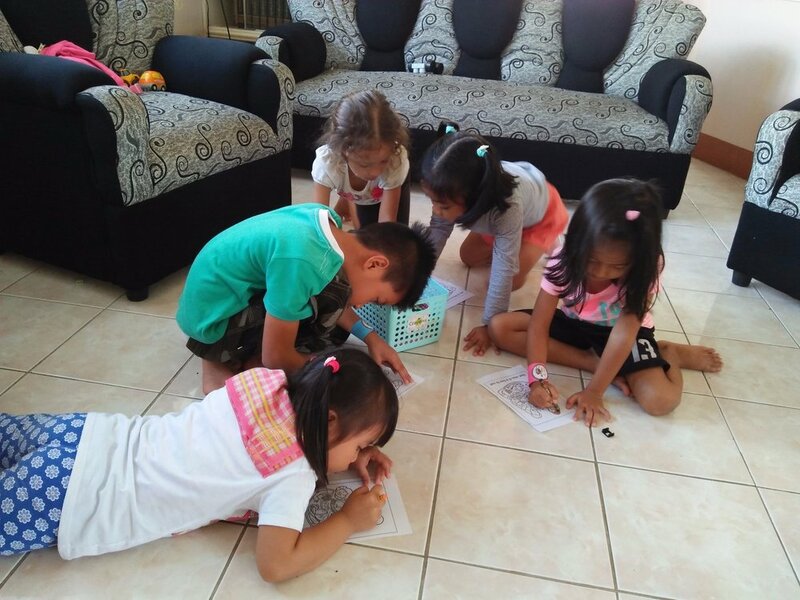 Drawing and crafts are incorporated into the lesson every week as the children connect their Bible story with a picture.